When clicking on print on my laptop, the printer sounds like it is printing but a blank sheet comes out. Can you help pleas? printer won't print. How can I tell it to go-away ! error o6 canon 220 como solucion? How do I solve this error? My printer won't turn on. I have checked all connections. i can't set english language on my pixma 220. in the end i get error =j88. who can help? Solution 1: I had this happen to me a few weeks ago and the only way I managed to get it working again was to go and pay out for a new set of genuine cartridges, despite the printer having happily used compatibles for nearly 18 months. As soon as I put those in the printer was happy again and the error message went away. All problems on this page have been submitted and answered by users. If you have a problem with the Canon PIXMA MP220, please submit it below and we'll post it here. 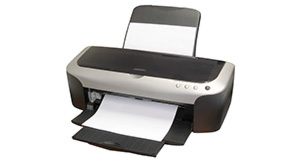 Problem: When clicking on print on my laptop, the printer sounds like it is printing but a blank sheet comes out. Can you help pleas? Problem: error o6 canon 220 como solucion? How do I solve this error? Problem: My printer won't turn on. I have checked all connections. Problem: i can't set english language on my pixma 220. in the end i get error =j88. who can help?